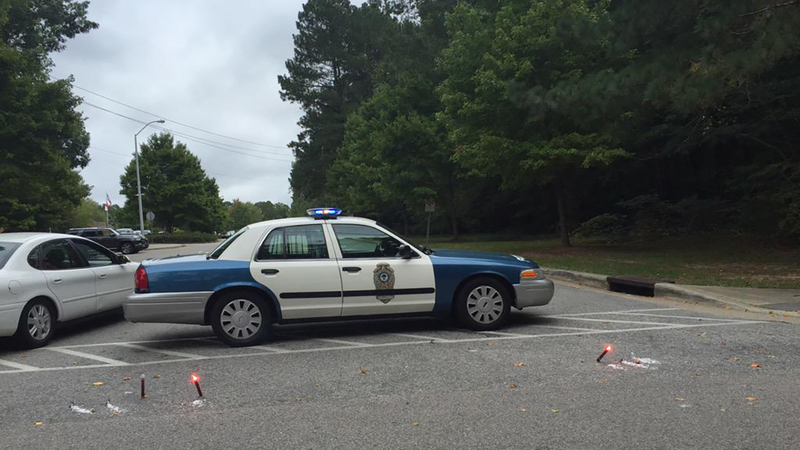 RALEIGH (WTVD) -- Wake County Schools said that Sanderson High School was on a code yellow lockdown while police investigated a bomb threat. Students and teachers were move to the football stadium while the authorities searched the school. The all clear was given just before noon on Tuesday and students returned inside. Wake County Schools said that classes were returning to normal and urged parents to not pick up their children. Someone allegedly sent a text threatening the school and police responded at 10 a.m.
Parents were urged to not go to the school.